I have another blog account where I do book reviews. 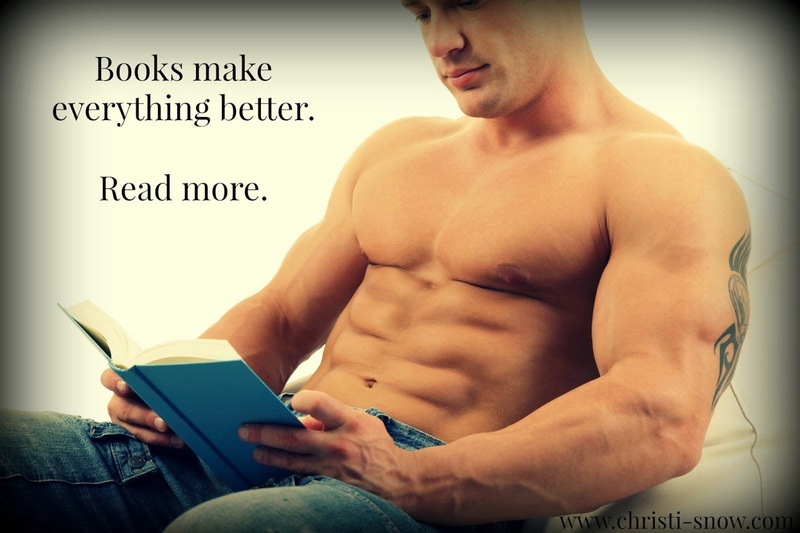 Go check out Smitten with Reading. I have a Facebook author page and that's where you'll find the latest about my writing woes and victories...and sometimes a bit of eye-candy too. Hey, a girl has to find her happy where she can! My instagram has a bit of everything, but it's usually focused on my reading and drinking. And speaking of happy things. I love Pinterest. I have boards for some of my books and then just general eye-candy and inspiration. Yes, there's man-candy too! I am not a tech person, but have a Google+ account that I have no idea if I'm using right or not. Link up with me and tell me how to utilize it better. I did mention that I like to read, right? Check out what I'm reading and come connect with me! This blog and website is for the sole purpose of putting the information about my books out to whoever wants it. If you sign up for my newsletter, I will not share that information with anyone. I only send out newsletters when I have a new release or some BIG NEWS. My blog is hosting through Blogger and GoDaddy. My newsletter is hosted through MailChimp. I believe all three of these companies to be reputable and that's why I use them, but I do not know how they might be using your information. I personally do not store any information uploaded from readers onto my site...anywhere. Honestly, I'm not techy enough to even know how to do that...I feel good when I manage to mail out my newsletter. LOL.